NDP leader Rachel Notley is expected to spend a lot of time in Calgary during the final five days of the campaign. Today she spoke about her pledge to expand Alberta’s $25/day childcare program at a press event today and spoke at a rally in central Calgary in support of Calgary-Mountain View candidate Kathleen Ganley and Calgary-Varsity candidate Anne McGrath this evening. 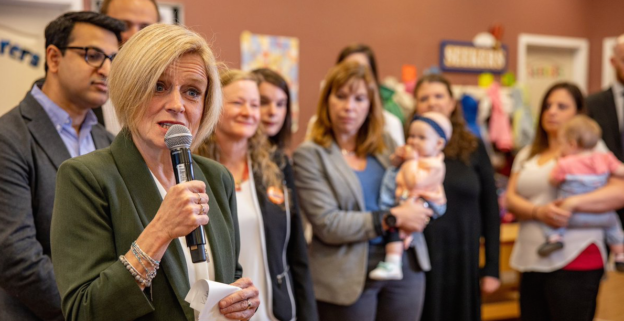 The NDP campaign has revolved around Notley, who is the party’s strongest asset, with signs showing her name and smiling face appearing as frequently as local candidate’s in electoral districts across Alberta. While the 20 to 30 per cent province-wide lead that the United Conservative Party held months ago appears to have evaporated into a 6 to 10 per cent lead, most polls show the NDP are still in second place in Calgary. With the NDP appearing to hold a healthy lead in Edmonton and the UCP dominating in rural Alberta, the narrative in the final week of the campaign has become all about Calgary. But the regional divide is only one part of the picture. As Jason Markusoff noted in his Maclean’s election newsletter, some polls suggest there is a significant divide in party support among men and women, with one poll showing the UCP leading among men by 16 points and the NDP leading among women by 1 point. The prominence of nasty social conservative comments raised in this campaign, like the ones made by UCP candidate Mark Smith from Drayton Valley-Devon, has likely contributed to this gender divide. Federal Conservative Party leader Andrew Scheer will campaign with UCP leader Jason Kenney at a event in Calgary tomorrow, which is expected to include a big focus on the Notley, Justin Trudeau and the carbon tax. Scheer’s appearance comes days after Kenney has threatened to enact legislation to shut off the flow of oil and gas to British Columbia if that province’s government opposes the construction of the Trans Mountain Pipeline. Such a move would almost certainly be unconstitutional, which is why the NDP passed but never proclaimed the law, and would likely foster more opposition to Alberta’s efforts than create support. But back to Scheer… it is somewhat unusual to see a federal Conservative party leader campaigning in a provincial election in Alberta. For most of the past three decades, there have been deep political divides between the various dominant provincial and federal Conservative parties in Alberta. Many political observers may have forgotten that even Progressive Conservative premier Ralph Klein personally campaigned for the federal PC Party candidate running against Reform Party leader Preston Manning in the 1993 federal election. It is important to recognize that the merger of the PC and Wildrose parties in 2017 was just as much about uniting those two parties as it was creating a dominant provincial conservative party that would march in step with the Conservative Party in Ottawa. With this in mind, Kenney remains very much a national politician with ambitions beyond the Premier’s Office in Edmonton. Scheer’s appearance on the campaign trail will come the day after it was revealed that his campaign chair, Hamish Marshall, allegedly threatened to sue the UCP over voting security during the party’s 2017 leadership race. CBC reported that email addresses fraudulently attached to party memberships were used to cast ballots in the party’s leadership race and there were virtually no safeguards against the practice. Alberta Party leader Stephen Mandel has proposed the creation of a rail-pipeline corridor to Alaska. The creation of a northern corridor to transport Alberta’s natural resources is not a new idea in Alberta politics. In 1972, PC cabinet minister Dave Russell publicly suggested that Alberta should annex parts of the North West and Yukon territories: “It makes sense in view of transportation and pipelines,” Russell told the Calgary Herald on April 19, 1972. This entry was posted in Alberta Politics and tagged $25 per day childcare, Alberta Annexation, Alberta Election 2019, Alberta NDP, Alberta Party, Alberta PC Party, Andrew Scheer, Anne McGrath, Calgary-Mountain View, Calgary-Varsity, Carbon Tax, Dave Russell, Drayton Valley-Devon, Hamish Marshall, Jason Kenney, Jason Markusoff, Justin Trudeau, Kathleen Ganley, Mark Smith, Preston Manning, Rachel Notley, Ralph Klein, Reform Party of Canada, Stephen Mandel, Trans Mountain Pipeline Project, United Conservative Party, Wildrose Party on April 10, 2019 by Dave Cournoyer. Rebel freelancer Holly Nicholas attended a technical briefing meeting for media before the release of the Royalty Review Panel report on Jan. 29, 2016. She says that she was asked to leave after being in the room for most of the meeting. It is not clear why she would have been asked to leave. Rebel freelancer Sheila Gunn Reid was denied entry into a technical briefing meeting for stakeholders before the release of the Royalty Review Panel report which was being held on the same day as the technical briefing meeting for media. It is my understating that no media were allowed entry into this meeting. Ms. Gunn Reid was not allowed entry into the Alberta Legislature on Feb. 3, 2016 to attend a joint press conference held by Premier Rachel Notley and Prime Minister Justin Trudeau. Neither was I, or was blogger David Climenhaga. On that day, I was informed by the Premier’s Communications Office that this was a decision made by the Prime Minster’s Communications Office. In response to a letter sent by Rebel’s lawyer Fred Kozak on Feb. 8, 2016, a letter from a government lawyer on Feb. 12, 2016 stated the government believes that Rebel and those identifying as being connected to the website are not journalists and not entitled to access media lock-ups or other events. 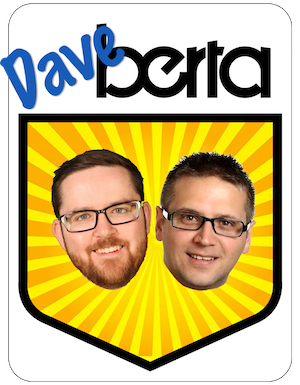 Founded by former lobbyist and Sun TV host Ezra Levant, the Rebel website speaks to Alberta’s right-wing fringe and essentially operates with the characteristics of an opposition group. I find much of their coverage distasteful and intentionally provocative, but they should be allowed to attend government media events, just as other media and opposition groups would be allowed. As Warren Kinsella and Jason Markusoff pointed out, this is exactly the reaction that Mr. Levant and his crew wanted. And even though the NDP backed down from the ban today, they have already delivered Mr. Levant the attention he sought. Heather Boyd, the former western bureau director for Canadian Press, has been recruited by the government to recommend new rules for media access. It would be a step backward for media in Alberta if new rules restrict access and participation of new online media. Ms. Boyd’s recommendations will be submitted to the government in two or three weeks, which means this issue will become a topic of media coverage as MLAs return for the spring session of the Legislative Assembly and the government presents a Speech from the Throne. A changing media landscape means there will be more online media with employees and freelancers who may not fall under the traditional description of “journalist.” As the large media corporations slash staff and cut back on local content, there is still a public demand for news. Citizens are turning online for their news sources, something that most of these news companies already recognize. As the corporate media cuts back, I expect some newly unemployed journalists to start their own innovative online news companies. New trusted sources for political information will continue to sprout up online – this cannot be stopped by the government or the already established media companies. This entry was posted in Alberta Politics and tagged Alberta NDP, Alberta Press Gallery, David Climenhaga, Fred Kozak, Heather Boyd, Holly Nicholas, Jason Markusoff, Justin Trudeau, Kristie Krezanoski, Press Freedom in Alberta, Rachel Notley, Rebel Media, Sheila Gunn Reid, Warren Kinsella on February 17, 2016 by Dave Cournoyer.